Are you interested in someone down with the swirl? Nowadays, it is estimated that one in every ten people are engaged in an inter-ethnic relationship. Love sees past the color of the skin or the race where your lover belongs. Here are the following tips that you should know when it comes to Interracial Dating Guide. The key to a successful interracial relationship is the open-mindedness of both people in love. Even when you are still in the first stage of dating, you must show that you understand and respect each other’s cultures. For instance, some races may deem as more aggressive compared to others. It is important to know and respect each other’s background profile. Refrain from giving suggestive remarks that may intentionally or unintentionally hurt your partner. If you are one of the people of color, you may have experienced racism even though we should be past the era of discriminating the black against the white anymore. Human as you are, it is sometimes inevitable to make pre-judgements about a certain person or race. Hence, before you make judgements towards a person or the entire race that might offend your partner, make sure to reconsider first before opening your mouth. The biggest mistake that you could make is to hide your partner from the rest of your friends or your family. Lift your chin high and be proud whenever you’re around with him or her. It will give your partner the assurance that you are not after the color of the skin or the race after all. Same things work for you. If you think that your partner is ashamed to be seen with you in public, you don’t deserve to be with that person. Regardless of their story, it is important to know your value and ensure that you are dating the right person. You should also make sure that you inform your family about your relationship with your partner, especially if they are racist or if they have issues about dating someone who does not belong in your culture. When a stranger makes a sardonic remark about your partner, if your love if strong, neither of you would care. But if it’s your family, it could be the root cause of your problems and might put a permanent end to your relationship. You should inform them of your partner as soon as possible. Don’t surprise them by just bringing your partner home because it may cause an unexpected issue from the reactions of your family members. Dating someone from different culture or race will open your mind to many things. After all, if you feel love towards someone, none of it would matter to you. 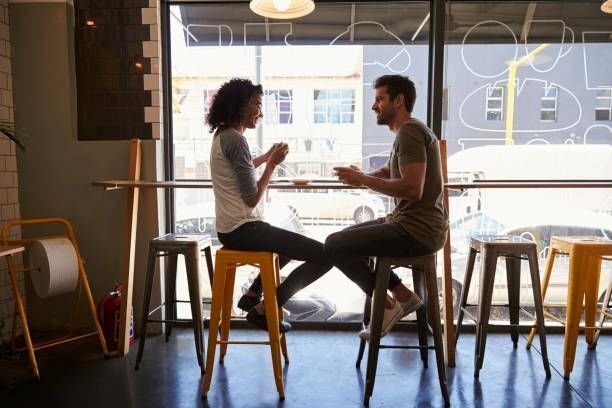 Keep the aforementioned tips in mind as it can help you strengthen your relationship with your partner and even promote interracial relationships with other people.